My Top 3 Lenses - How Do They Compare? It’s always a struggle to answer the question of what my favorite lens is. The easy answer is that I don’t have one. The slightly more complicated answer that typically only leads to more questions is that my favorite lens is the 50mm prime. Like an ice cold beer on a hot summer’s day, I simply love me a good ol’ fast fifty. For most of us prime shooters, it was the first prime lens we shot. Some still love it, while others found themselves favoring something a little wider or longer after time went on. For me, I have always felt most comfortable shooting with a 50, and it wouldn’t surprise me if more than 80% of the photos I’ve taken over the past 3 years were taken with one. I can shoot just about anything with a 50 and there are times when it’s the only lens I bring. Over the past few years, I’ve shot and tested just about every 50mm lens that I could get my hands on. The Canon 50mm f/1.2L and the Leica 50mm Summilux ASPH are my two favorite 50mm lenses. When I primarily shot Nikon, the 58mm f/1.4G was my 50 ever since it was released. All three of these are my favorite lenses and because of them, I still shoot with all three systems. All three are different to a degree, and each has something special that fits my shooting style and the look that I go for. This is an honest and real world review of all three, what makes them so special, and how they compare to one another. Each one has character and is unique, which is why I choose to shoot all three still. While writing this and comparing the three, I did think a lot about which one is my favorite. It's definitely a tough call, but I’ll share my choice at the end. Character in a lens is simply a mix of its flaws, perfections, and unique over all look to the images that it produces. Some photographers will tell you that character is the reason they are able to look past a lens’ flaws, but those flaws are actually what helps to create character. A unique lens flare is a flaw that gives a lens character, since it’s not something that most photographers want in their images. I love lens flare, and most likely you already know that about me. Both the Canon 50L and Leica 50mm Summilux have unique lens flare that makes them that much more special to me. The Nikon 58G doesn’t flare at all, but it has other flaws that help give it character and make it special. A good example of a lens that simply didn’t win me over because of its lack of character is the Sigma 50mm ART. While it’s much cheaper, and loved by many photographers, I found it simply lacked that something special. It’s also a big heavy lens, and just like every other Sigma ART lens I've owned, it suffers from inconsistent AF that actually gets worse over time. I know that there are a lot of you that love your Sigma ART lenses, and I used to feel the same way. Yes, they are cheaper alternatives with very good image quality, especially the 35ART, but see how many times you nail focus out of 10 shots with your subject at a distance shooting wide open. Long story short, I have since sold off all but one Sigma ART lens since switching to primarily Canon. As far as my wedding and most professional work goes, I still need a good AF system as well as a few other features that ultimately have me still shooting with DSLR’s. While I do shoot the Leica M for most of my personal work and a good amount at weddings, I still shoot with DSLR's as my main bodies. I primarily shot with Nikon up until the release of the Canon 5D MarkIV, which led me to make the switch over to primarily Canon for the first time. You can read my First Impressions Review if you’re interested in learning more about the switch. Whether I was shooting primarily Nikon or Canon, I have actually been shooting both systems together for the past 4 years. A decision that is definitely not the norm, but there are a few reasons why, and the bottom line is that is simply works for me. One of the biggest reasons is for shooting multiple systems is the lenses. Although I personally like Canon lenses over-all better, Nikon has a few gems in their line-up that Canon simply doesn’t have… and vice versa. When I shot primarily Nikon, I had a Canon body or two along with the 50L, 135L, and the 24mm TS-E. When I recently switched over to shooting primarily Canon for the first time, I had thought about selling off all my Nikon gear but couldn’t do it. The Nikon 58G is one of my all-time favorite lenses and there isn’t anything close to it in Canon’s line-up. I kept one Nikon body along with the 58G and the older 50mm f/1.2 AI-S manual focus lens. It’s the camera I use for just about all of my personal work, and it’s rare that it doesn’t get shot at a wedding. Sometimes the M240 and 50mm Summilux are all I bring to an engagement shoot. A few years ago, once I realized how much I loved shooting with the Leica M rangefinder, I set out to find the perfect lens for it. I shot just about every 50mm lens in their line-up to find one that fit the look I was going for. DISCLOSURE: All the sample photos are edited, exactly how I edit all my photos, so you can see what these lenses are capable of. I won’t be showing RAW files, which may upset some, but it shouldn’t matter. Every sample image is edited exactly the same with no sharpening applied. I also put together a small gallery of images that I’ve shot with each lens. It’s no secret that Leica lenses come with a heavy price tag, and for good reason. No other manufacturer can match the quality of glass in Leica lenses, nor the craftsmanship that goes into making them. Leica lenses are simply superior, and they really are in a league of their own. I had always read about how good they are, but it wasn’t until I actually started shooting with them that I realized just how special they really are. Knowing that I wanted a 50mm lens to go with my M240, I shot with and tested a handful before making a decision on which one I wanted to invest in. From the famous $10k Noctilux to the $800 Voigtlander 50mm f/1.5, it was the Leica 50mm f/1.4 Summilux ASPH that ultimately won me over. It’s the most expensive lens I own, having paid $4500 for it new a couple years ago, and it’s a lens I don’t see myself ever parting with. The 50mm Summilux is the sharpest lens I’ve shot with to date. I typically like to shoot my prime lenses wide open, and the Summilux is as sharp as they come at f/1.4. It also does a better job than any other lens of maintaining its sharpness when shooting into the sun, or with heavily backlit shots. The Summilux is a lens that I love to shoot in bright sunlight, backlighting my subjects, because of how well it handles the light and maintains sharpness. It’s very common to relate a very sharp lens like the 50mm Summilux to being “clinical”, or lacking character. Not this lens, however, and that’s precisely what makes this lens so special. Along with its extreme sharpness when shot wide open, it also has beautiful out of focus rendering that's just as impressive. Compared head-to-head with the 50L, a lens that many love for its bokeh, the Summilux is actually smoother… most of the time. Comparing these two head-to-head though is actually pretty tough, which you will see below, but as far as actual out of focus rendering and bokeh goes, the Summilux is slightly smoother until you are up close to your subject. This is where the Canon 50L shines and outperforms the Summilux with OOF rendering. While all of that is nice, the most special characteristic of the 50mm Summilux to me is the unique flare that it produces. I absolutely love the flare of the Summilux and have used it to create some of my favorite images. With that said, one of the coolest features of the Summilux is the retractable lens hood that allows you to very quickly block out the sun to prevent flare when you don’t want it. I typically don't use lens hoods, most of the time they don't even make it out of the box, so it's nice having it right there for when I do need it. The Canon 50L is one of the most popular 50mm lenses among portrait and wedding photographers, and with good reason. Not only for Canon shooters, but also for Sony A7 shooters. It’s a lens that gets a lot of attention from new photographers because of its f/1.2 aperture, but for professional Canon shooters, it’s hands down one of the most impressive lenses in the line-up. It’s not extremely sharp, nor does it have the smoothest bokeh, yet it no doubt has something unique and special about it. If you know how to take advantage of its strengths, it is one hell of a 50mm lens with a ton of character. The real strengths of the 50L are revealed when it’s shot at a closer distance to your subject. At more of a distance, I would say 10ft or more away, it starts to lose its magic, which just happens to be where the Summilux shines. The wide aperture of f/1.2 does in fact make this lens special and helps give it character like no other 50mm lens I’ve shot. It has an extremely shallow depth of field along with impressively smooth OOF rendering when shot up close. Although f/1.2 is not a huge advantage over f/1.4 on paper, in real life shooting it plays a big role in making this lens so unique. For example, when shot wide open compared to other 50mm lenses with a wide aperture of f/1.4, the bokeh is more compressed and larger which has a very appealing look to it. It also allows you to bump it up to f/1.4 to increase the sharpness. NOTE: The 50L shot at f/1.4 is still not as sharp as the Summilux. Compared to the 50mm Summilux, the 50L has a surprisingly different look all around, which is why I love shooting both of them. This is where it becomes a little tough to explain. Up close to your subject, the 50L has a more shallow DOF, and much smoother bokeh. The Summilux blows it out of the water in terms of sharpness, but up close, I would choose the 50L any day of the week. As you get a little further away, you start to see the differences, and the one thing that still surprises me is that the 50L has a bit of compression to it. Every comparison shot that I took between the 50L and the Summilux revealed that the 50L had a slightly more compressed look. Whether it’s the distortion that the 50L has, which the Summilux has almost none, it was surprising to see. The other key characteristic of the 50L that has a special place in my heart, just like with the Summilux, is the flare that it produces. Very different looking than that of the Summilux, it has a very artistic look and is easy to control. The Nikon 58G is probably one of the most unique lenses I’ve shot with, and one that I didn’t like at first. The focal length is one that throws you off at first. It’s just slightly longer than a true 50mm lens, and the DOF is more shallow than you would expect because of it. It’s only sharp towards the center of the frame, extremely sharp actually, but softens towards the outside of the frame. Because of this, the rendering is pretty unique and the bokeh is simply as smooth as it comes. 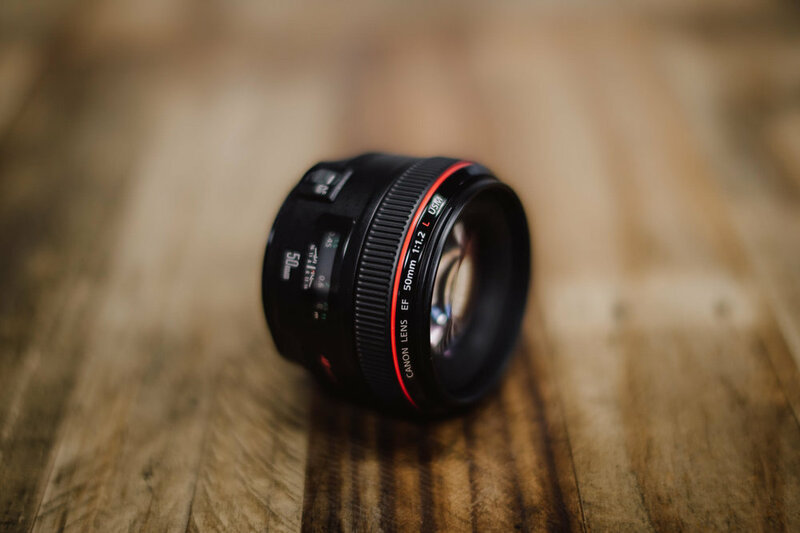 Canon shooters love to compare bokeh to that of the very popular 85mm f/1.2L, which is often considered to have some of the smoothest bokeh there is. The 58G gives it a run for its money. 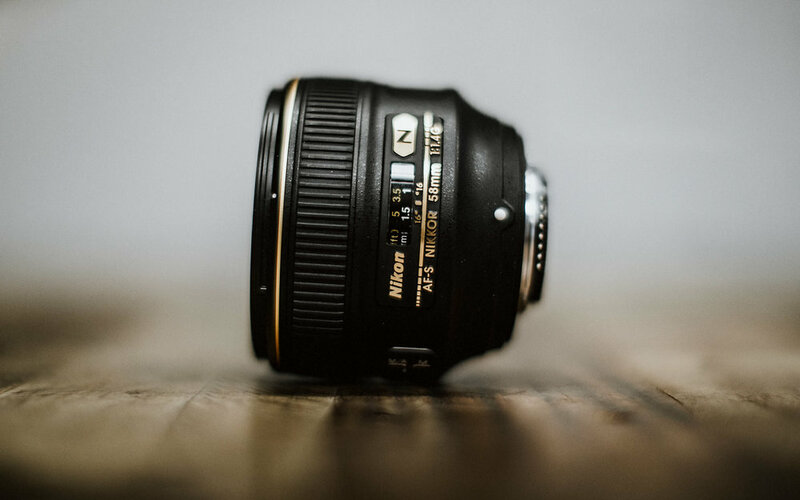 If you were to use the word buttery… it would be to describe the bokeh of this lens. If sharpness edge to edge is your thing, you won’t like this lens. If character and a unique look is more of your cup of tea, the 58G is your jam. Along with the rare focal length, which neither Canon or Leica offer in their line-up, it has a completely different look than both of them. The other key thing to mention about this lens is that it’s covered in Nikon’s anti-flare nano coating, so unlike the other two lenses, it doesn’t produce any type of flare. All three of these lenses are special to me, and more specifically are the most influential factor in my decision to shoot Canon, Nikon, and Leica. Each lens is unique in its own way, and I know exactly how to use each one to my advantage. As I've already explained, I love the 50mm focal length, and I love to shoot them wide open. I'm often asked which lens I used to shoot certain photos, and I would guess that 90% of the time the image in question was shot with one of these three lenses. The 58G is tough to compare head-to-head with the other two because of the longer focal length. Since the Canon 50L and Leica 50 Summilux are easier to compare, there are a few more comparisons between them. They are also the two that I have recently been shooting the most. If I had to pick just one of these lenses as my favorite, it would be tough. BUT, I'm going to go with the Summilux. It really is the most impressive piece of glass I own, and I love the unique lens flare that can make it feel like I'm using a paint brush at times. The sharpness of the Summilux when shot wide open is still mind blowing at times. Combined with its impressive OOF rendering, it creates the look that I want better than any other lens. The lens right now that gets the most use is the Canon 50L since my main camera body is the MarkIV. With the MarkIV's much improved and impressive AF, the 50L is a joy to shoot, and has created some of my favorite images over the past few months. 1: You can really see the distinct difference in bokeh between the 3 lenses here. The Nikon 58G is easily the winner here, with the Leica 50 coming in a close 2nd. 2: This comparison does a good job of showing both sharpness and out of focus rendering between all 3 lenses. You can see where the Leica is by far the sharpest, and while the Canon 50L has a more shallow depth of field, the Leica quickly catches up to it in a smooth and appealing out of focus rendering. The 58G once again shows just how smooth it can blur the background out, while also adding a bit of compression. 3: Similar comparison to the one above. 4: Below is a comparison to show the strength of the Canon 50L. Up close to your subject, you can see the Canon has much more shallow DOF and beautiful out of focus rendering. 5: Below is a comparison between just the Canon 50L and the Leica 50Lux. Both produce a great image, but looking closer, you can see that the Leica not only is sharper with less distortion, it also has smoother bokeh. You can also see the slight compression from the Canon 50L. 6: This simply shows how both the Canon and Leica perform when shooting a heavily backlit subject. Both do a great job and each giving a different look. The Canon has more contrast which I love. The Leica maintains better sharpness and out of focus rendering.